I was little my parents have had high expectations of my brothers and I, so I have always tried hard to impress them and not disappoint them. This goes the same for my teachers. What really causes this and how can I stop it? Is there some sort of medicine to solve my problem? Please help me!!!! It seems to me that the high expectations and pressures from your parents and your need to impress them or not let them down is probably at the root of this shaking problem. Your fear causes your body to betray you - to sabotage your success. Even the fact that you dream of being a dentist is obviously related to this "handicap." If you wanted to create a symptom or problem that would keep you from succeeding in your chosen destiny - then shaky hands would be the perfect thing! Maybe deep down inside, you actually don't want to be a dentist, but you decided that it would make your parents happy if you did. (Just guessing here). 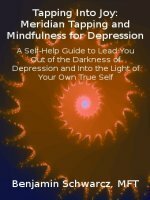 Regardless of the inner conflict under this performance anxiety, doing EFT/Meridian Tapping would be one of the most helpful, easiest and fastest methods of eliminating the shaking hands. No question. It may also lead you to a deeper insight about the real root cause -which could then be remedied through tapping as well. If you go to a doctor, most likely then will give you some harsh drug that will "calm" your body down; possibly an antianxiety medication like klonipin, ativan or buspar. These drugs all have potential negative side affects and many cause dependence and in the long term often create more problems then they alleviate. Although for an acute crisis or episodic severe anxiety, some of these meds can be a welcome relief. I vote for tapping. Talking it out with an insightful therapist could also be very helpful.